As the Creative Director of a three-time Agency of the Year award winner at Cannes, Marcos leads a highly talented and ambitious team of creatives at AlmapBBDO. He has won numerous awards, including a Grand Prix Press – Art Director, Grand Prix Cyber – Creative Director, 25 Cannes Lions, 8 Clios, 5 One Show Pencils, and 2 Yellow Pencils D&AD, among many others. 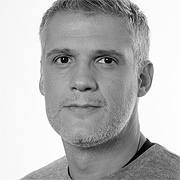 Before joining AlmapBBDO, Marcos served as Art Director at several agencies, including Casablanca Propaganda, DNA Propoganda, FCB Brazil, DM9DDB Brazil.